What Are Art Display Walls? Our art display stands are marginally shorter in height than our standard gallery walling. They offer a versatile and flexible solution. Install them in venues where ceiling height is cramped, or space is tight. 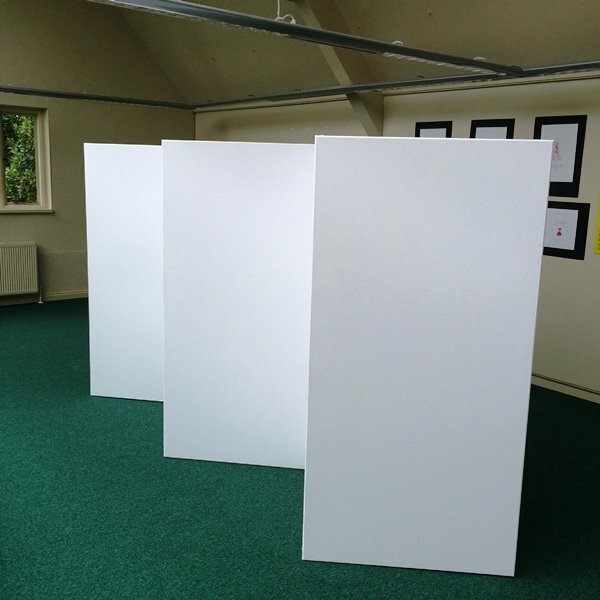 Finished in white paint, our art display walling is a budget-friendly alternative to our gallery wall. What Are Art Display Boards Used for? 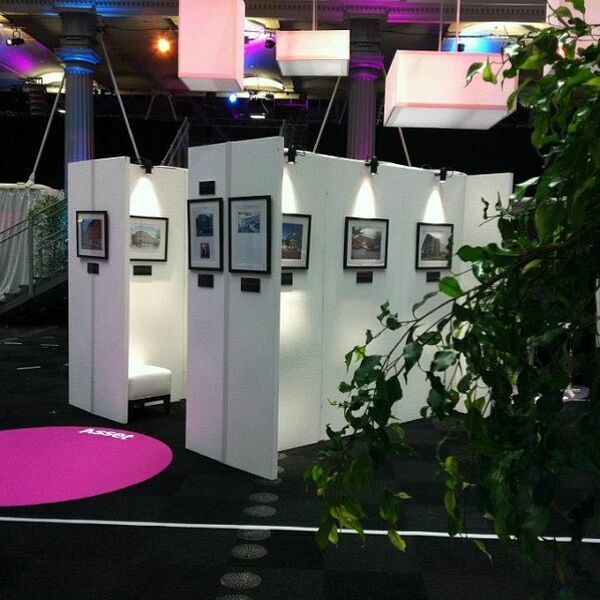 Used mostly by charities and artists, art exhibition stands are fire rated and stable. Board hire is perfect for public venues like hotels, village halls and schools. Unlike most other gallery walling panel companies, you can screw, pin, nail and stick straight on to our panels. All our art display stands & panels are fully checked, filled, sanded and repainted, all ready for future fittings. Why Buy Art Display Walls? Charities – the list is endless! The art display panels come in a variety of sizes and shapes. And the best thing? They can be made-to-order with graphics and effects. Feel free to add lighting and AV together with additional extras like ropes, poles and walling feet. Unique and striking, art display walls are a great marketing tool for your company. They’re an incredibly good investment for you, providing you with all the versatility you need at events or tradeshows. You could even use them in your office. The exhibition stand design provides several panels of display boards. This is a great way to showcase the full breadth of your company’s branding and the services you offer. Also, you’re able to use the display board panels either upright or parallel. With a whole host of sizes and kits, you’re spoilt for choice! 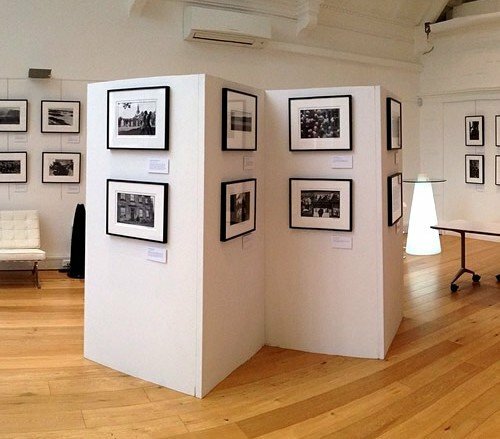 What Are the Benefits of Art Exhibition Stands? Our art display panels can be set up in no time. This means you can spend more time presenting and marketing your brand, its products, and services. 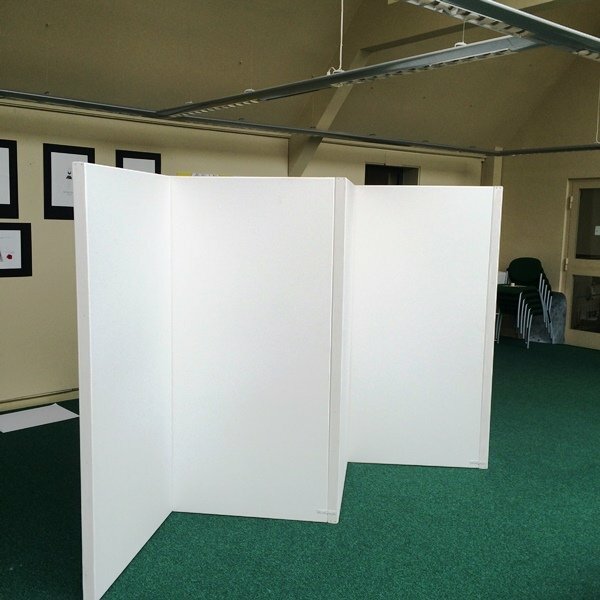 Need your art display board a different colour? We offer a flexible service from single art display panels through to a full gallery installation. We can deliver, install, dismantle and remove from site including the delivery and removal of any artwork or exhibits you may wish us to transport. Costs depend on the quantity of panels ordered, schedules and location of venue, please contact us for further detail.